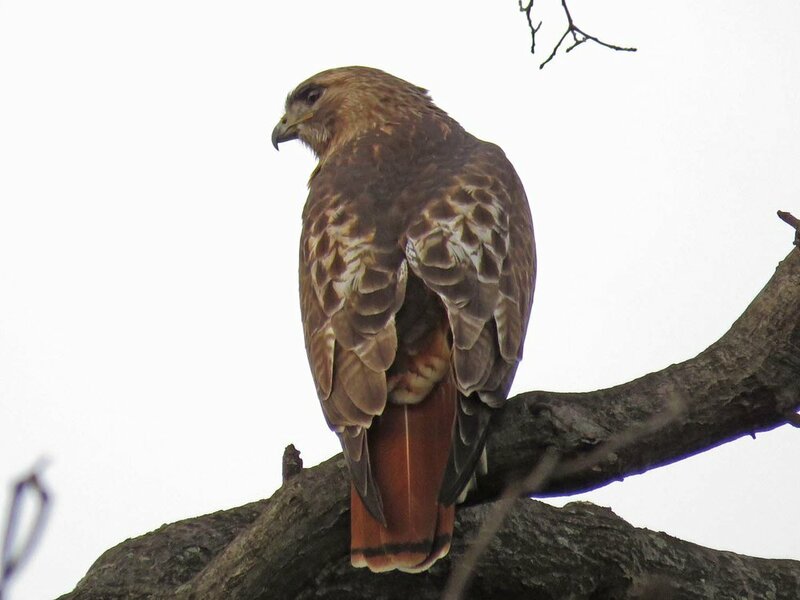 The red-tailed hawk pair that hangs out between 72nd Street and 96th Street on the west side of Central Park — known to many hawk watchers as Fred and Ginger — have been trying to breed for several years, but have been unsuccessful. 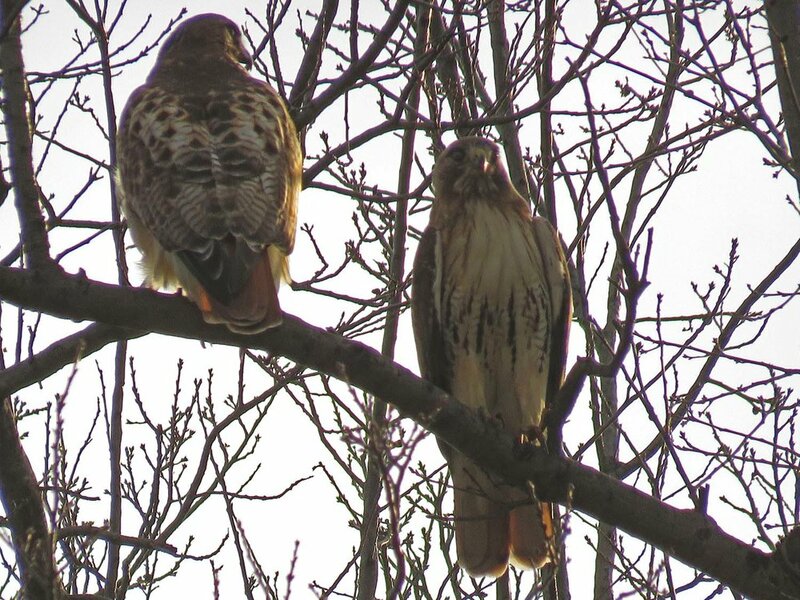 In the winter of 2018, I filmed the pair on several days as part of the Winter Red-Tails series. I took multiple photos, which I feature below. 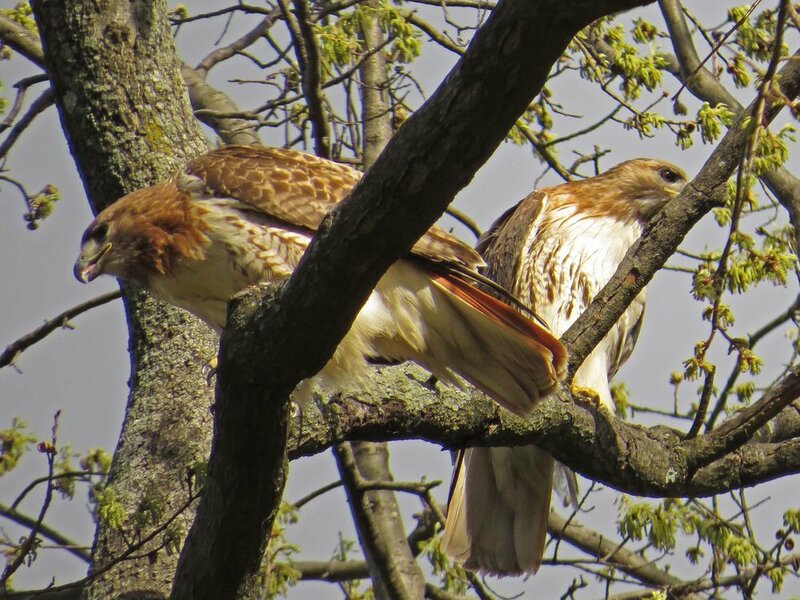 These two videos in the Winter Red-Tails series feature Fred and Ginger. In Part III, Fred shows up at 1:40. 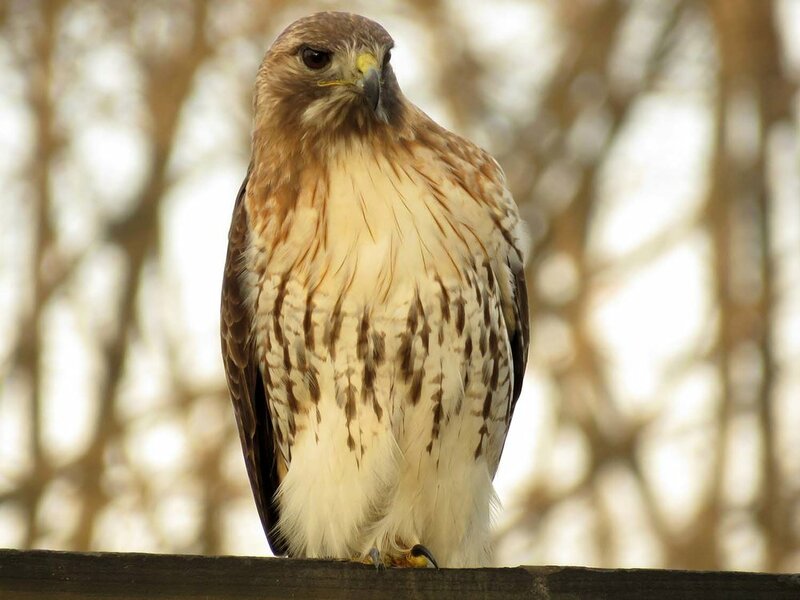 Fred likes to hunt near the 86th Street transverse on the west side south of the Reservoir. 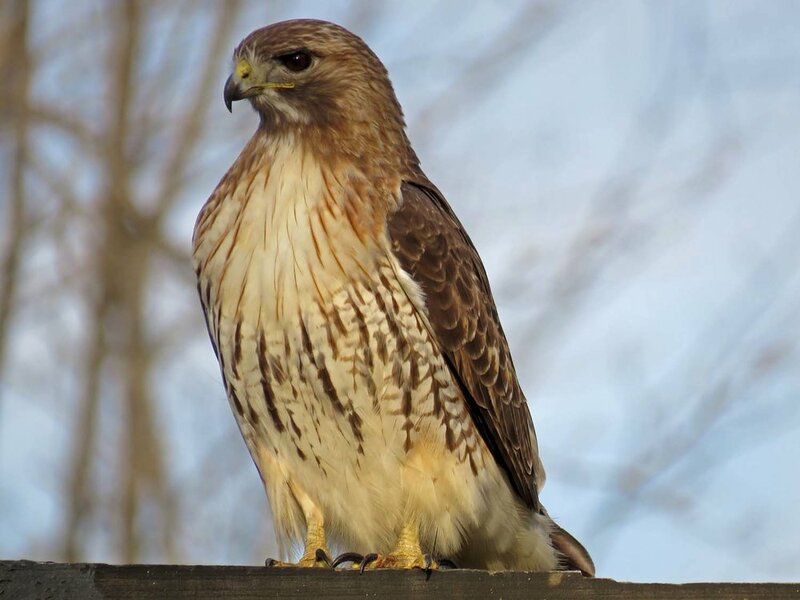 He will sometimes perch on the old stables building and watch for rats from there. 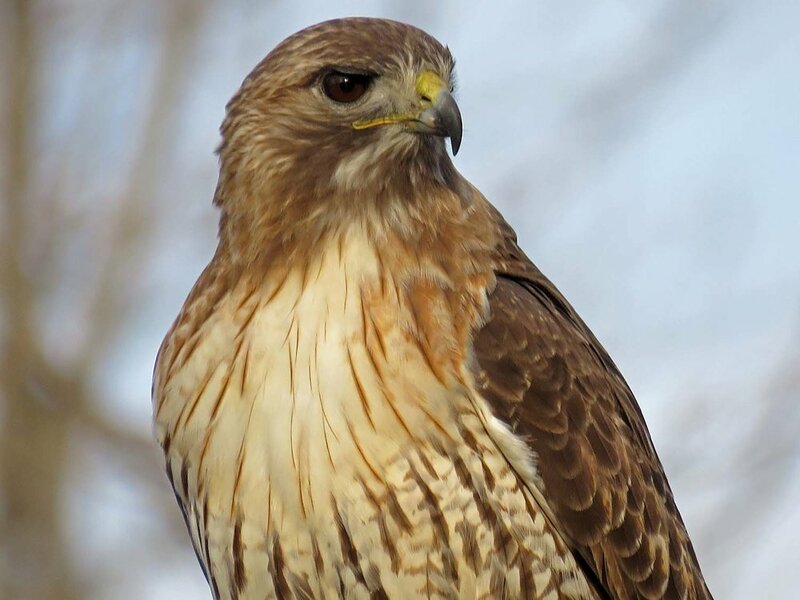 A nest they tried to build on a building on Central Park West around 92nd Street was taken down by a maintenance worker in 2013, and another nest they tried to build on the Beresford building failed to produce eyasses. In 2016, the pair tried to brood on the San Remo building, but Ginger's egg rolled off the ledge. The pair tried again in 2017, but although Ginger sat one day on a makeshift nest on West 81st Street, new kids resulted. On April 17, 2017, Ginger was spotted in the Ramble in the afternoon eating a meal, probably brought to her by Fred. After she finished her dinner, Fred came to her branch, and the pair mated again. I document nature, so here's the video. Fred was shown dining in a video from March 2016.